The Faculté de Médecine of the University of Montpellier (2 rue Ecole de Médecine) is probably the oldest medical school still in activity. 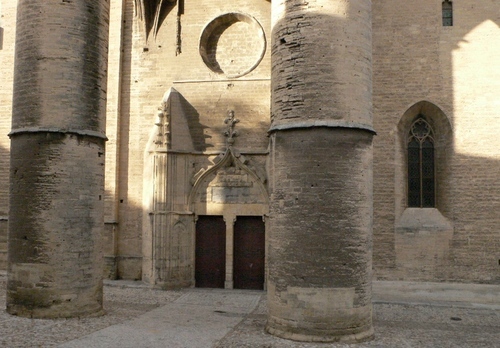 It was founded in the 12th century and has its seat in the medieval Bishop's palace since the end of the 18th1. 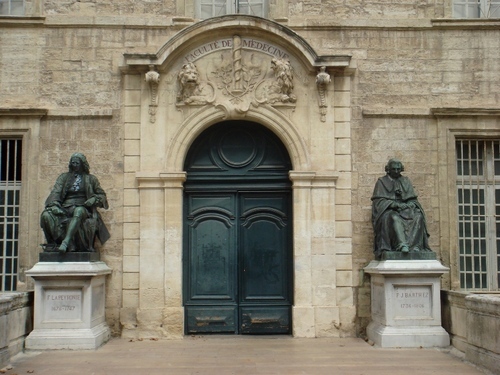 On the sides of the main entrance to the Faculty, two big bronze statues of François de Lapeyronie and Paul Joseph Barthez can be admired. 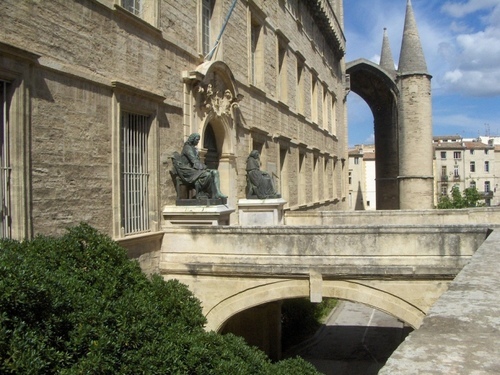 - H.Bonnet, La Faculté de Médecine de Montpellier. 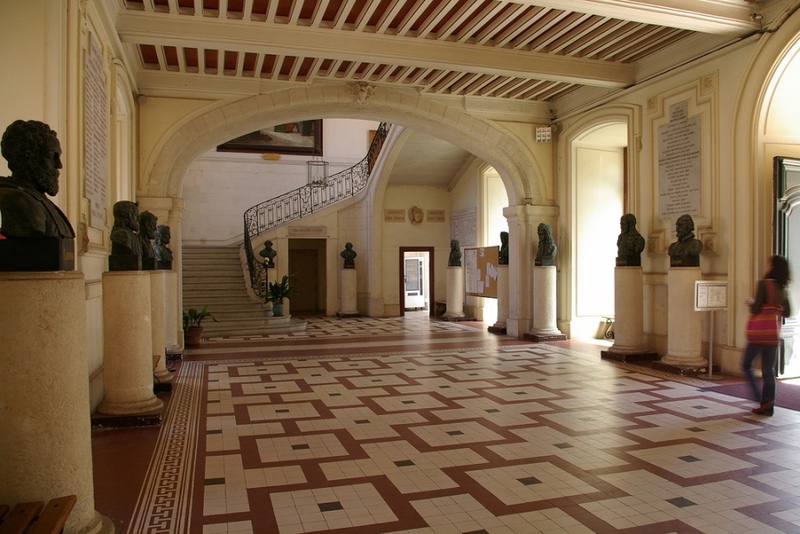 Huit siècles d'Histoire et d'Eclat, Sauramps Médical, Montpellier 1992, pp. 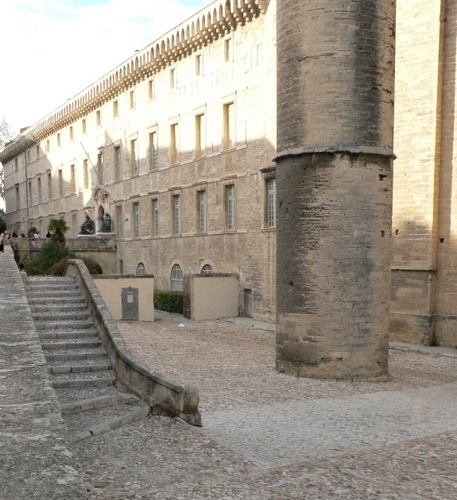 375.